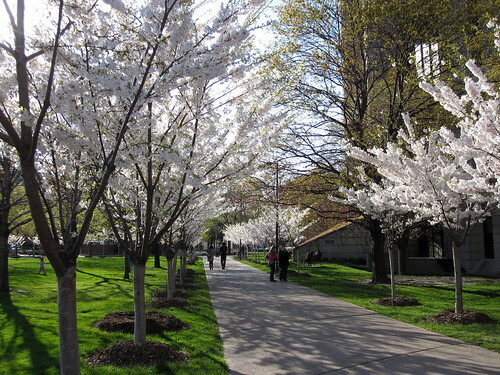 The cherry blossoms are now blooming along Harbord Street within the University of Toronto campus. 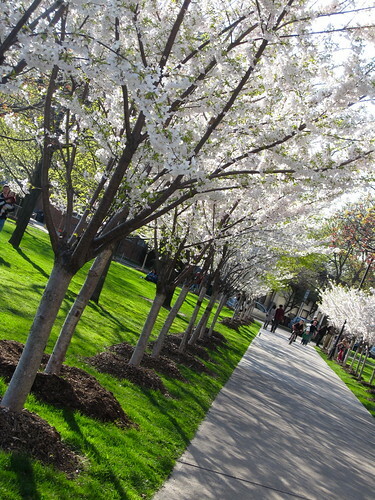 Even though I've lived in Toronto for several years since I was a U of T student, I'm always taken by surprise when I see the campus enhanced with trees and flowers in full force. I never spent a summer on campus and I probably spent my four Aprils of undergrad with all attention on final exams and essays. gorgeous!! I love that we have so many cherry blossoms trees in the city. 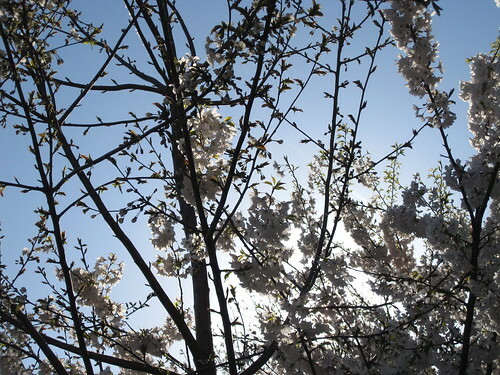 High Park's cherry trees is out in full force, too.